For this new monthly event, the frac île-de-france highlights an artist of its collection and present 3 posters from Sister Corita Kent. Corita Kent, also known as Sister Corita, is a Catholic artist. She became internationally known in the 1960s and 1970s for her serigraphs with incisive slogans and bright colors. 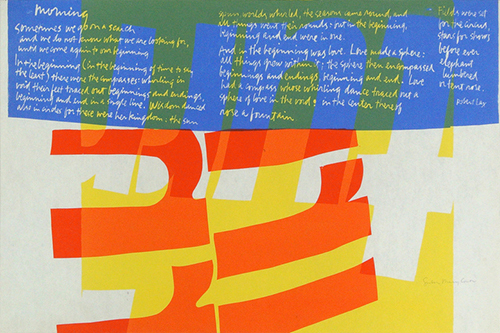 Corita Kent’s art reflects her spirituality, her commitment to social justice, her hope for peace and a certain enchantment for the world around her.